Jaguar Land Rover has begun its week-long factory shutdown as part of its plans for Brexit, on the day the company posted lower sales in Europe and China. 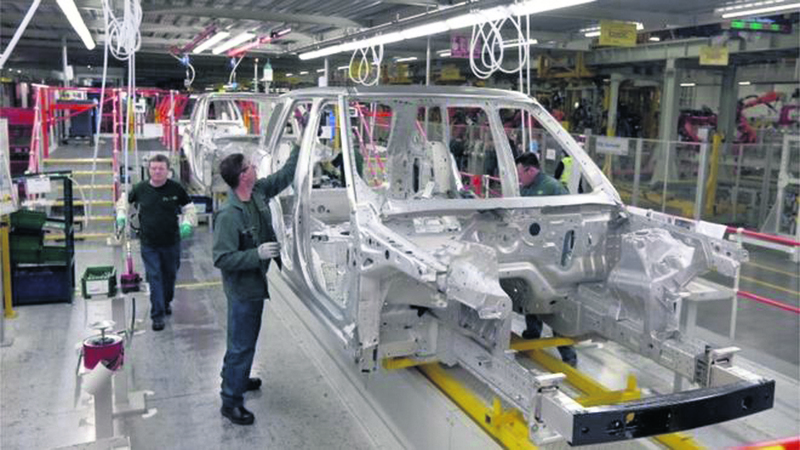 JLR's four main UK manufacturing sites, at Castle Bromwich, Solihull and Wolverhampton in the West Midlands, and Halewood in Merseyside which employ 18,500 people, are closed from Monday to Friday. The production shutdown at Britain's biggest carmaker is in addition to its usual Easter closure, which runs from next week until April 23. The extension was agreed with staff in January to prepare for potential Brexit disruption, when the UK's scheduled departure date from the EU was March 29. Workers at JLR's UK factories will be paid during the production shutdowns but will have to make up the hours at a later date. The company has also started cutting 4,500 jobs from its 40,000 global workforce, affecting mainly management roles in the UK. Mick Graham, Unite's plant convenor at Solihull said, "We had to make some plans to protect the business as best we could and we started talking about this in January. We knew we had to take reactive action to mitigate the potential effect of a bad Brexit or no-deal Brexit. Suppliers need notice to get their parts across to us. It was a prudent thing to do." JLR, along with other major carmakers, has been stockpiling vehicle components, but can prepare for only days of disruption, rather than weeks, as it uses 25m separate parts per day. BMW brought forward its annual maintenance to April and warned that a no-deal Brexit might force it to stop making the Mini at its Cowley plant near Oxford. JLR’s factory shutdowns began as the carmaker, which is owned by the Indian conglomerate Tata, released full-year results. JLR sold 578,915 vehicles globally in the year to March, down 5.8 per cent. In March alone, sales fell 8.2 per cent, mainly because of an 11.4 per cent decline at Land Rover, while Jaguar recorded a 0.2 per cent dip.